The Slovak Republic has a traditional 3-month-long fall that is littered with color. 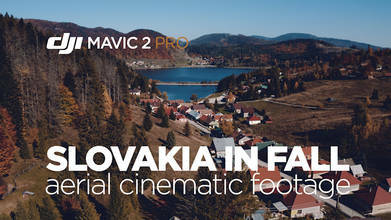 The beauty of the country is shown in this 3-minute, 4K drone video shot on a DJI Mavic 2 Pro by DRONE PILOT SVK. Slovakia became part of the European Union in 2004 and has continued to climb many international travelers' bucket lists ever since due to the vast and gorgeous Carpathian Mountains and its many historic sites.